Consumer Reports (CR) published the results of a survey on May 3 that showed 13 million Facebook users in the U.S. either do not use or do not know about Facebook’s privacy settings. There are currently about 150 million Americans who have Facebook accounts. Consumer Report’s annual state of the net report detailed the results of the survey of 2002 households in the U.S. with online access, of which 1,340 had active Facebook accounts. A press release issued by Consumer Reports described how the status updates posted by American Facebook users revealed personally identifiable information that could put themselves or their family members at risk. For example, over the past year, 4.8 million users posted a status update that detailed when and where they were going on certain days, giving thieves a little help for their next robbery. 39.3 million users identified a family member in their profile, 2.3 million “liked” a page having to do with sexual orientation, 4.6 million people talked about their love life on their wall, 2.6 million talked about drinking alcohol on their wall, 20.4 million showed their birth date and year in their profile, and 4.7 million talked about their medical problems on their wall, which health insurers could use against them. A survey carried out by Consumer Reports showed 13 million users in the United States do not manage their privacy settings or are not aware of them. 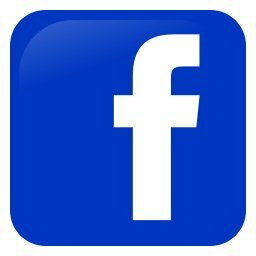 Users are advised to think before they type away in their status update box because everything put out there has the potential to be viewed by so many people, and deleting an account takes about a month and some information stays on Facebook’s computers for 90 days. Second, users should be aware many of the apps available can take their Friend’s information and so they should be cautious about which apps they approve and limit the number of apps they use. For apps that are approved, users should use the privacy settings to limit what information they can take and what they can do with it. While I was viewing my Timeline as the public sees it, I was also surprised to see that the users I had subscribed to were viewable by the public as were the users that subscribed to me. I don’t mind others seeing that I have subscribed to Mark Zuckerberg, Michael Arrington (TechCrunch founder), Brad Stone (Bloomberg Business Week writer, and Leon Dubinsky (Facebook Software Engineer), so I left that setting public. On the other hand, I noticed that 36 people had subscribed to my public updates, and these people were viewable on my public timeline. This seems like nobody’s business so I ticked the setting to make these people viewable only by me. CR criticized Facebook for allowing users to set up weak passwords, an issue it has documented for the last two years. Users who wish to test the strength of their password can use the LastPass “Security Challenge” by clicking “security check” under the “Tools” menu. LastPass, a website that lets users safely store all of their password, can also generate a strong password for users.